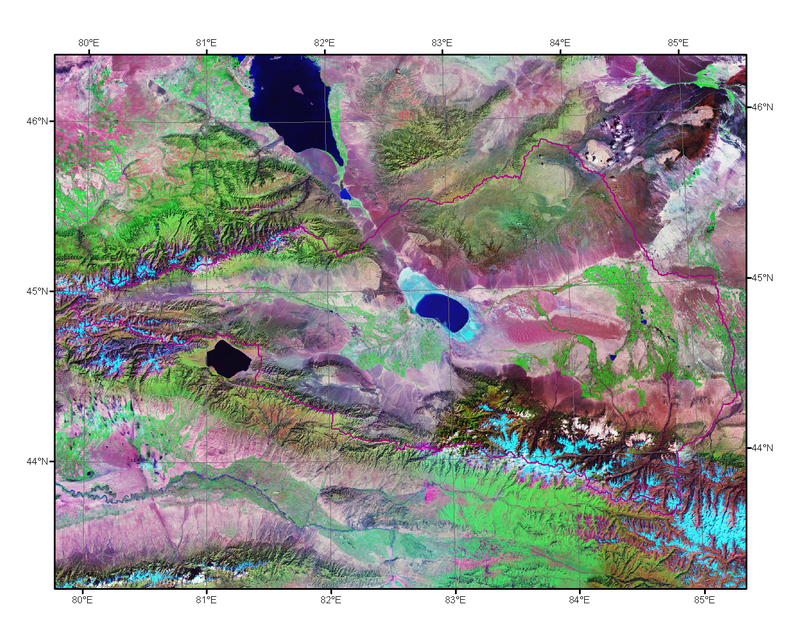 This is the geocover Landsat mosaic from about 1990.
and the version from about the year 2000. 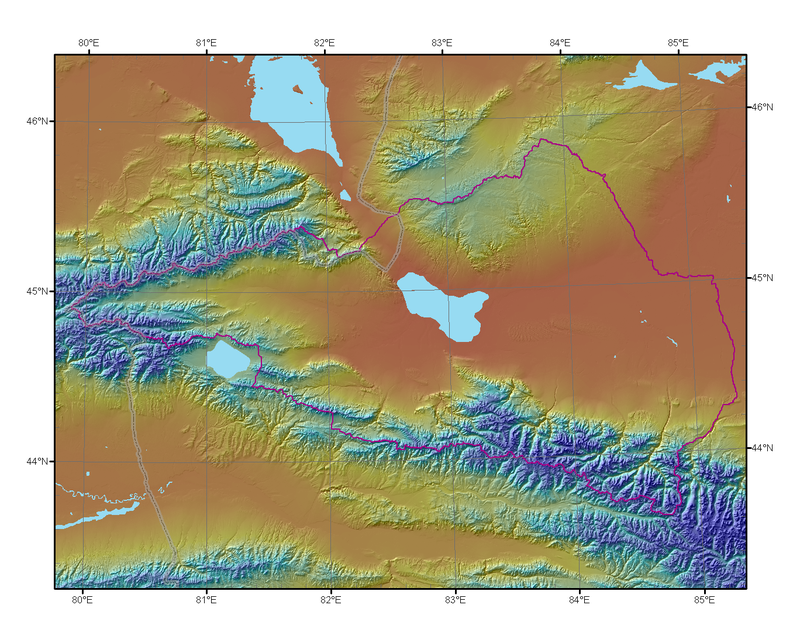 The purple line is the beta 15-second HydroSHEDS basin boundary. 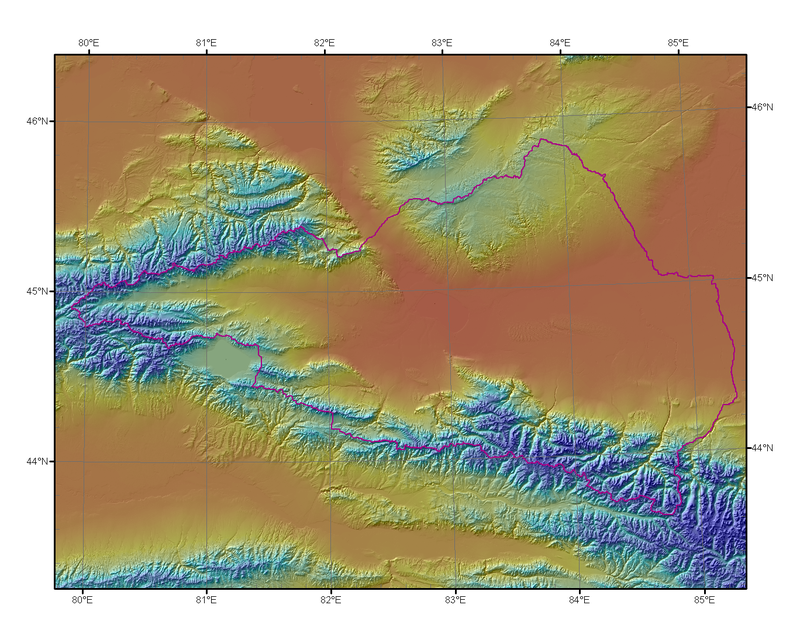 This is the SRTM 3-second DEM. 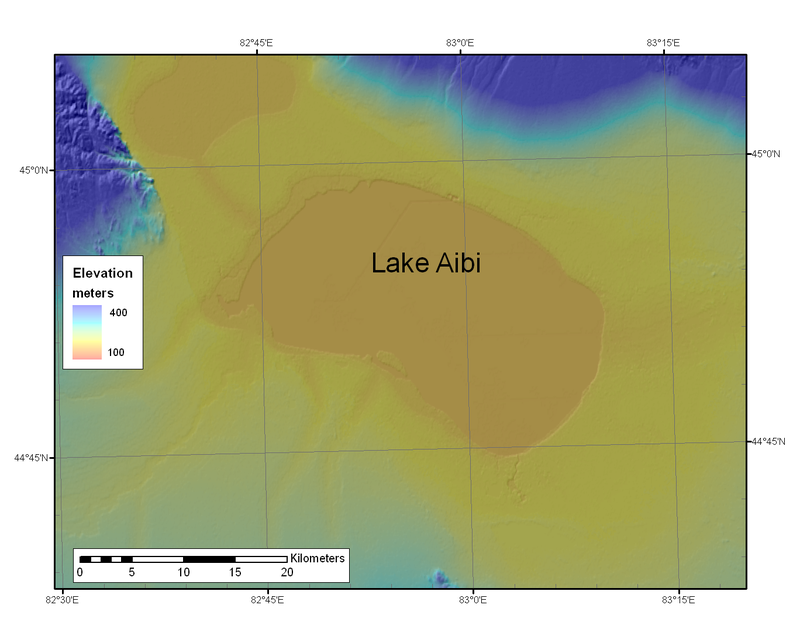 Here is an overlay of old mapped lakes and international boundaries. 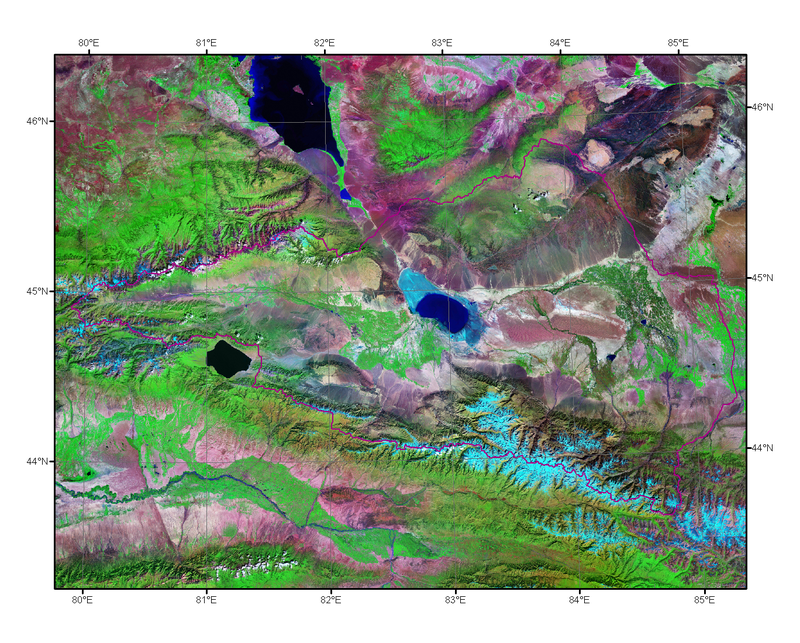 and this is Amir's MODIS land cover data. This is a detail of the WWF conditioned version of the 3-second SRTM DEM. 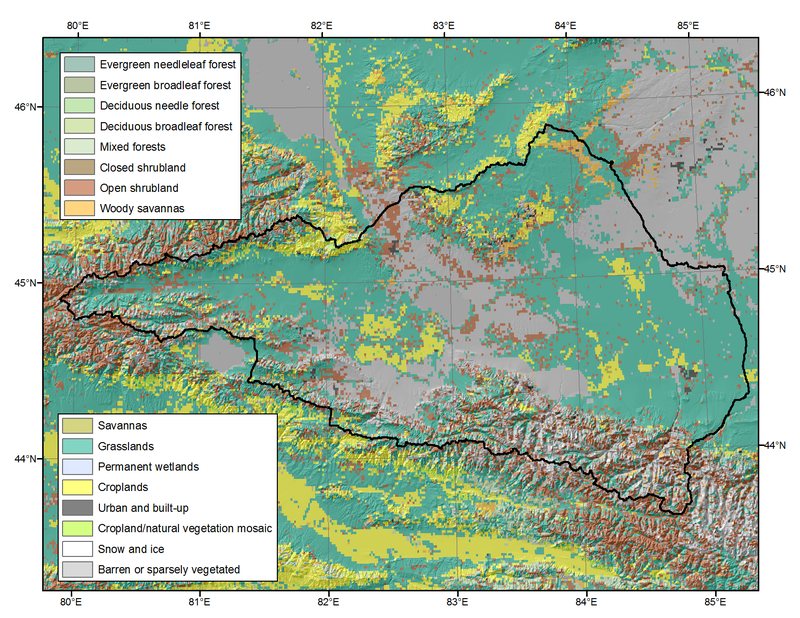 This page represents our initial assembly of data sources, and is not a definitive image of national or basin boundaries.